In the late 60's Buren's Affichages Sauvages appeared sporadically across eight countries and eleven cities. 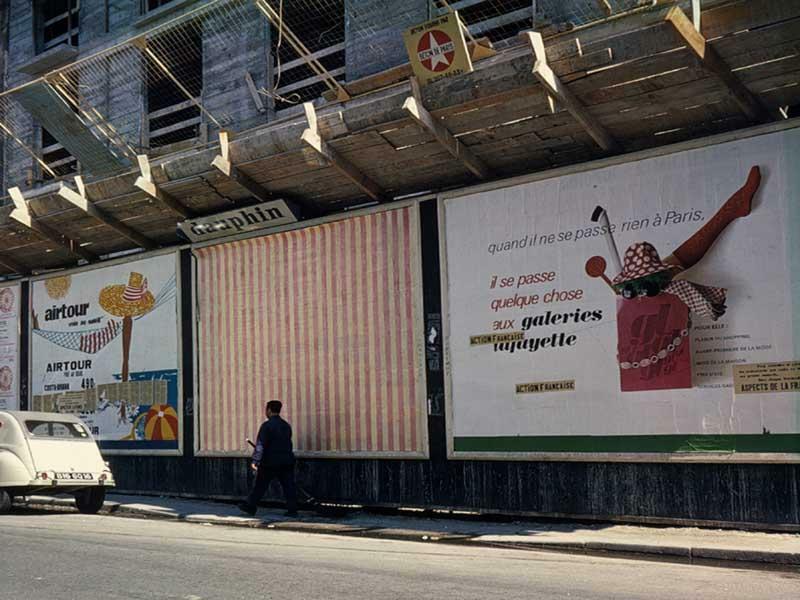 From Paris to New York alternating green and white or red and white stripes were pasted over advertising billboards. 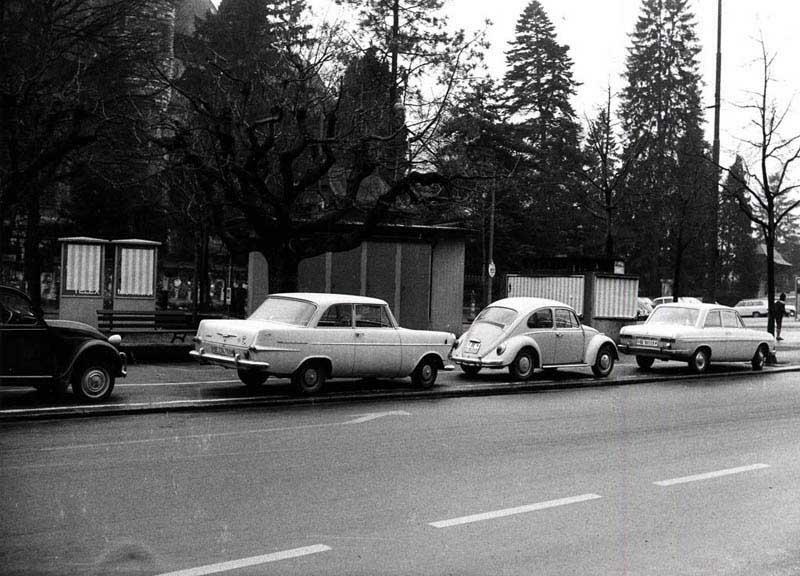 Concerned with only working 'in situ' Buren collaborated with curator Seth Siegalaub in 1969 to produce a different work each day for the duration an exhibition. 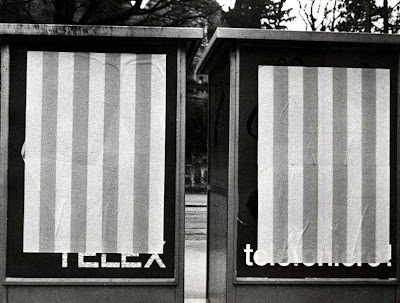 Whilst billboards were gradually filled with his trademark stripes the Parisian gallery Yvon Lambert had its front shop window covered in the same motif whilst it remained closed for the duration of the show.